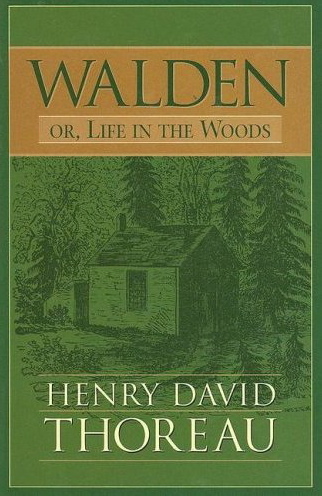 I have felt strongly drawn to read this book many times in my life, and what with me quitting my job, traveling to Europe and reading In Praise of Slow a few weeks ago, I decided it was now the perfect time to read Walden. What I was expecting was an account from a hermit - someone that had left society to go live in the woods because he hated people (Salinger-esque). This could not be further from the truth. While Thoreau partially left society because he hated the materialism and poor conversations from aristocrats, he didn't leave society to get away from people altogether. He enjoyed talking with people, if they were the RIGHT people and if it was the RIGHT conversation. He went into town frequently, and wasn't that far away from the the town. I hesitate to use words for town like 'civilization' or 'the heart of things', because I bet Mr. Thoreau felt like the woods represented those words - not the town. In the first 90 pages or so, Thoreau talks all about some of the downfalls of society and I must admit I fell in love right then and there. Beautiful thoughts - I found I couldn't stop putting down the pen. There were some beautiful sentiments throughout the book (I have pages full of quotes) on nature, living simply and the beauty of men. I was particularly fascinated with his interactions and opinions on others, especially those that were of inferior mental prowess (simpler folk). He was able to appreciate the beauty in people, and this reminded me a lot of Hemingway without all the drinking and depression. Of course, Hemingway had a special way of bringing their characters to life... much better than Thoreau. 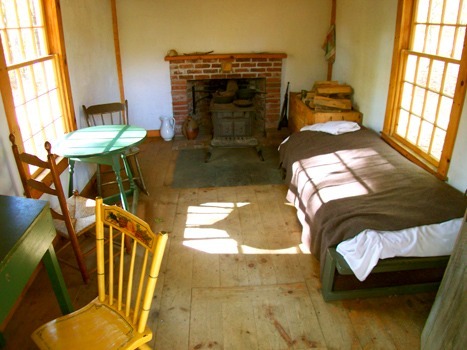 That said, still a lot of charm in the details of some of Thoreau's experiences with people in nature and in his cabin. He outlines how he built his cabin, the changing of seasons from winter to spring and back again. He tells us about the history of the area, the influence of people on the lake and describes in detail the plants and animals of the surrounding area. There are stories about particular animal events, and there are many references to the Ancient Greeks - something that I was interested in given my recent past. I particularly enjoyed a story of a solitary red ant that he likened to Akhilleus and detailed the fight between red and black ants like a battle of the Trojans and Argives. This book teaches you a lot about Thoreau himself - he bleeds from the pages. 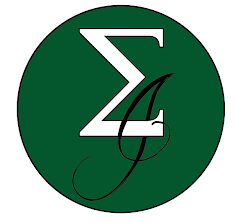 He was rebellious against society (he didn't feel like he should pay taxes), he was learned in the Classics (and consequently Latin), and he was passionate and at many times very angry. I was expecting him to be much more Zen Master; of course, he was a passionate young man of 28 years when he went into the woods. He was also a devout Christian, which you can see creep into a few parts - without being overly distracting. The most important take away is that life is short and it's possible to live for prolonged spells of leisure if you live simply. It's amazing how much less you can live with once you get used to it. In North America, we all live very extravagant lifestyles, myself included. I can't help but think that Walden would have laughed at me reading my leatherbound book on a comfy couch. At one point I went down by a river to read and I must admit that it was more enjoyable (though my back hurt!). I suppose I have a long way to go in simplifying. 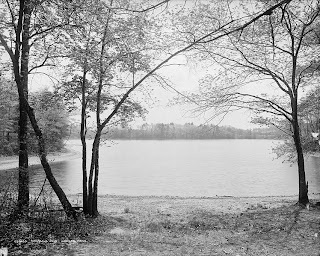 I did feel like moving to the country to live in the woods by a lake, but that is nothing new to me. I enjoy a more leisurely pace whether in a slower city or in the country and I have often debated moving to Northern Ontario, Canada to live. At this point in my life, it's not the time... but I would rather live up north than have a place in the city and a cottage in the country that I commuted up to on weekends. It's simply not the same. Anyway, this novel is a must read. I personally found the beginning and ending of the book the most quote worthy - it had the most meat overall. You may find that it lulls a bit (I personally wasn't that interested with the detailed calculations of the pond depth or the many pages on how bubbles form in ice), but perhaps it was just my experience with the work. Would be really interested to hear what others think. First off, wow, congrats on your new direction in life. I'm always in awe of people who take such a leap. And what a fitting book to begin your journey. Like most, I read excerpts of Walden in high school, but finally read the whole thing towards the end of last year. I also found the first and last parts to be the most riveting - and some parts lagged for me too. But overall I've nothing but admiration for Thoreau and his endeavors. Though I'm not sure I'd enact it in the same way as Thoreau, I crave a slower, simpler way of life; though simpler doesn't mean easier, it's quite a difficult thing to achieve, I think. "To live deliberately" is a deceptively simple phrase that requires a great deal of courage, effort, and exploration and is perhaps far more difficult than being carried along by duty or expectation. @ Jillian: Would be great to check out the pond and spend some time there taking in nature. 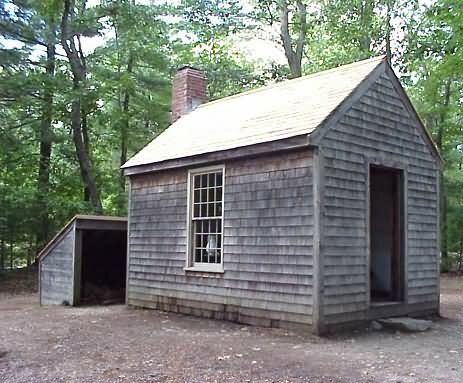 I wonder what Thoreau would think of the place becoming touristy due to his writings. I agree that forgoing expectations from society and others is a difficult thing to accomplish. Me quitting a stable job and selling my home to travel around Europe is something that most would find absurd. However, you have to be open to what your heart and soul says and hope that you will achieve meaning that will enrich yourself as a person.